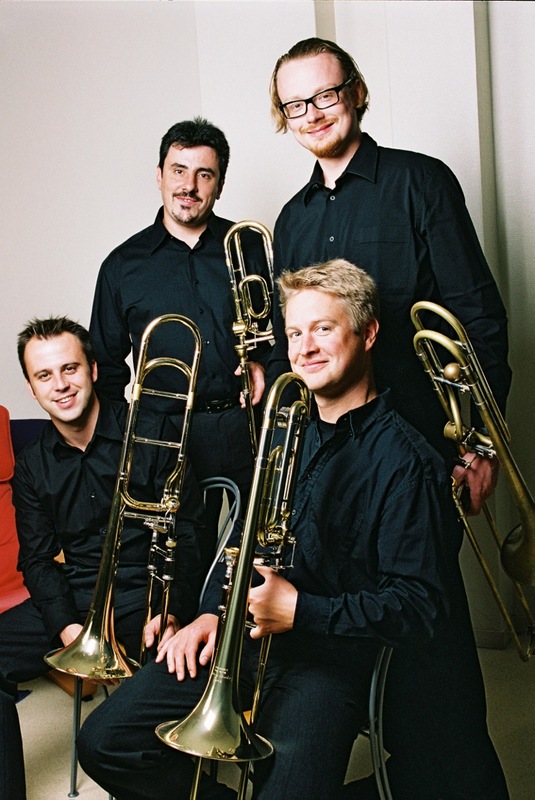 Since their entrance examination at the National Conservatory of Music in Lyon, the four trombonists coming from the four corners of France were admitted in the classes of Michel Becquet and Alain Manfrin to continue for several years their musical studies. During these years they formed the Kimoiz Quartet. – Winner of Mécénat Musical Société Générale in France 1998. Open to all kinds of events, and providing an original and varied program the quartet present the trombone to excite and surprise the audience for sure.